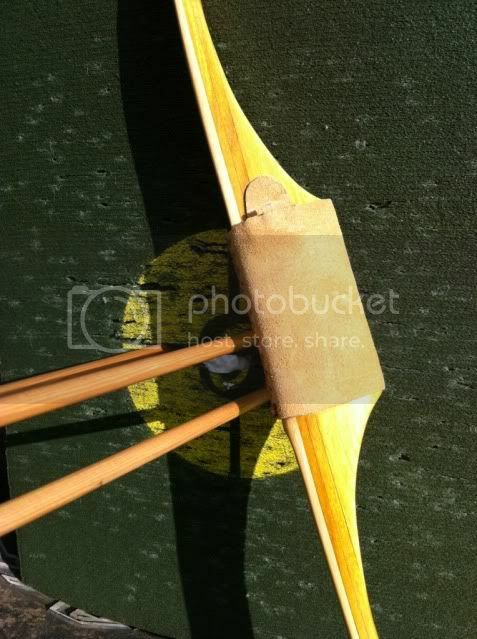 After over 1000 pages and 15000 posts, the original ""HH bug got me" thread hit a forum software threshold and refused to work, so that thread has been fixed and this one continues the great tradition of the original American flatbow, the Howard Hill Longbow! ... please continue that great conversation! Below is Pokerdaddy's "Echo" that's being referenced in the other posts below. "Met Chuck Deshler from Two Tracks yesterday. Picked up an Echo that ya'll gotta see. 66" 54@28. All Walnut limbs with clear glass. Beautiful Myrtle riser with exposed fades. Got her dialed in today, and I gotta say she's a shooter!" Re: HH BUG GOT ME - Part Two! We finally got some cooler weather and it sure is nice to be out shooting more then just a few shots before the heat ran me back inside. My Hill style BBO I built sure is a pleasure to shoot. Saturday I also received a new-to-me JD Berry Morningstar from member lineman72. Sweet reverse-handle with a touch of backset. 66" 51@27, so also roughly 54@28. Haven't had a chance to take any pics of it yet, but it can be seen in the thread, "Elegance, JD Berry Morningstar". Holly crap Charlie, I didn't know Snowshoe Hares could get that big!How much do you figure it weighed? Picture might be deceiving, but that bunnies got to be 16 to 20 lbs anyway. Nice! Round two ah! Looks like Chuck Deschler makes a winner with that Echo. Now how about some Shrew Hills Chuck!? Lol. 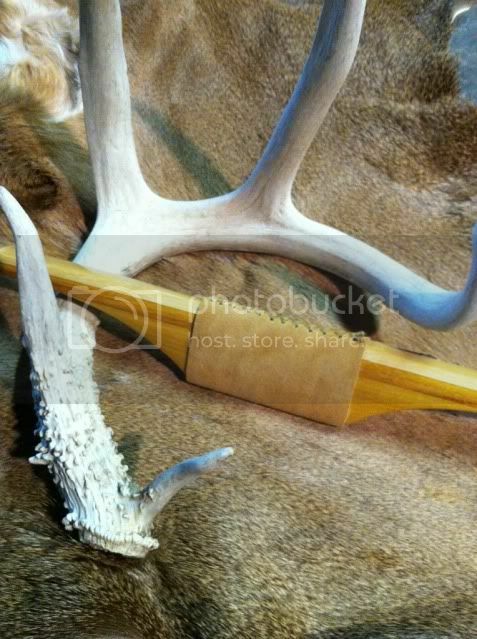 Great looking bow, Andrew! And a Morning Star too? Wow! How do you like the feel of those 66"ers? Tracy... VERY NICE!!! I think you are getting the hang of it and glad to hear you're getting out and shooting. The weather does make it easier. I got out after deer last night but didn't see anything except a fox squirrel that really didn't like the looks of me. 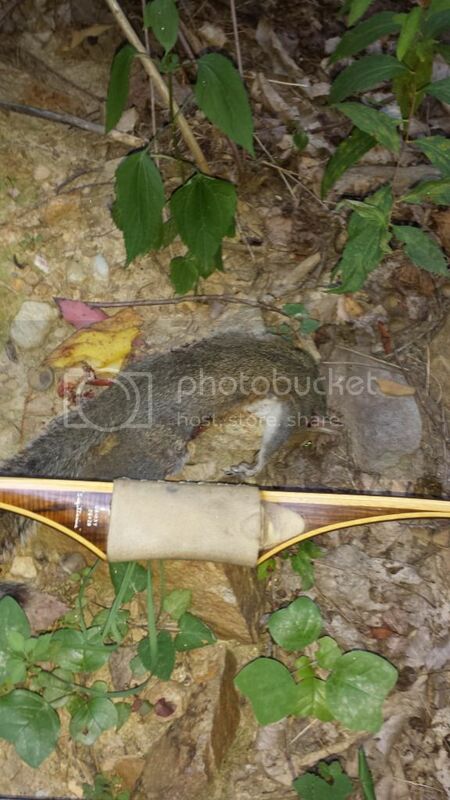 If I'd have had a squirrel arrow with me I'd have settled his rant. As it was after a half hour straight of his chattering, I cut a sapling that was nice and straight, trimmed the bumps and limbs, cut a nock in it and shot it at him. (left handed pinch draw) That made him leave even though it was flying sideways when it went past him. Looking for the mother load of white oak acorns for now so I'll be moving around a lot. Good looking Echo Andrew! I look forward to seeing it up close in the future. Camp h(A)mbush might have to be renamed Echo Base! 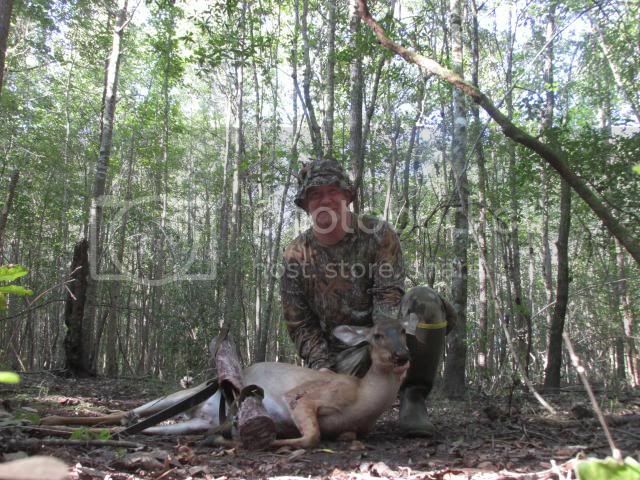 This one wasn't so lucky Saturday. My homemade longbow worked very good first Morning on the stand. 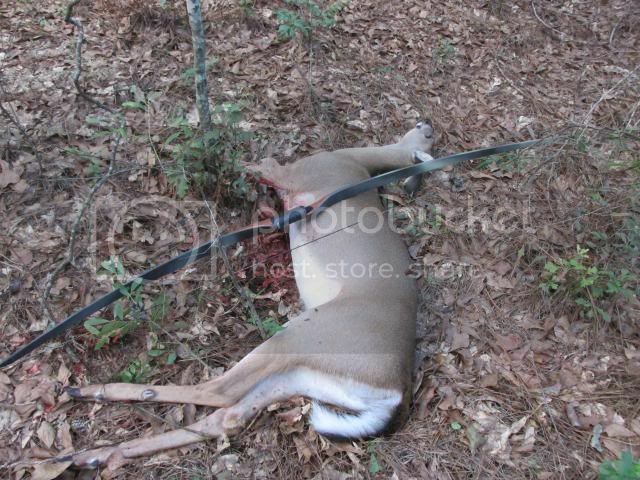 If you keep hunting in GA. there won't be any animals left in that state cause your a killin' machine! Congrats many times over RC! Congrats RC.....that bow's hardly old enough to shave. Congrats, you are off to a heck of a start RC. Nice job. Two in the same day RC? Overspined, deerfly, Yohon, flint kemper and 6 Guests are viewing this topic.